I love eating food. Food that is not only appetizing for the stomach, but for the eyes too. 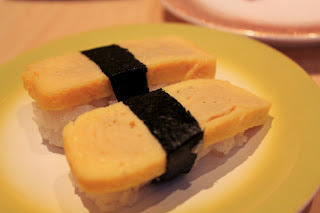 The Japanese, I did say, hold great pride in the preparation and presentation of their cuisine. Take a piece of salmon sushi for example, although seemingly simple, what's hidden behind it is years and years of practice and experience, resulting in a show of delicate knife skills and worksmanship turning the simplest ingredients to delectable, yet beautiful dishes. 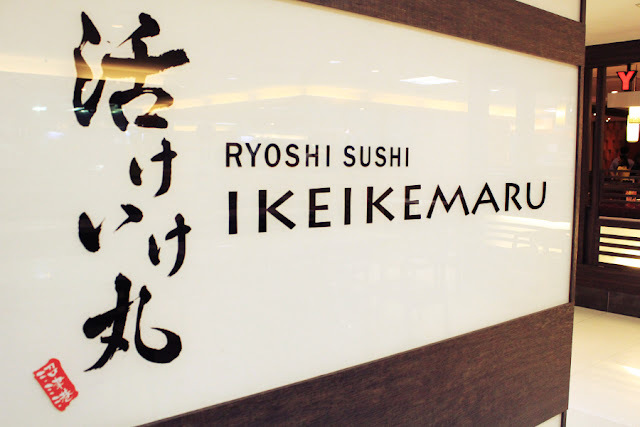 And Ryoshi Sushi Ikeikemaru is an example of that. Located at the basement of Liang Court, this newly-opened Japanese restaurant is recommended by one of the friends and sure, why not go for it? 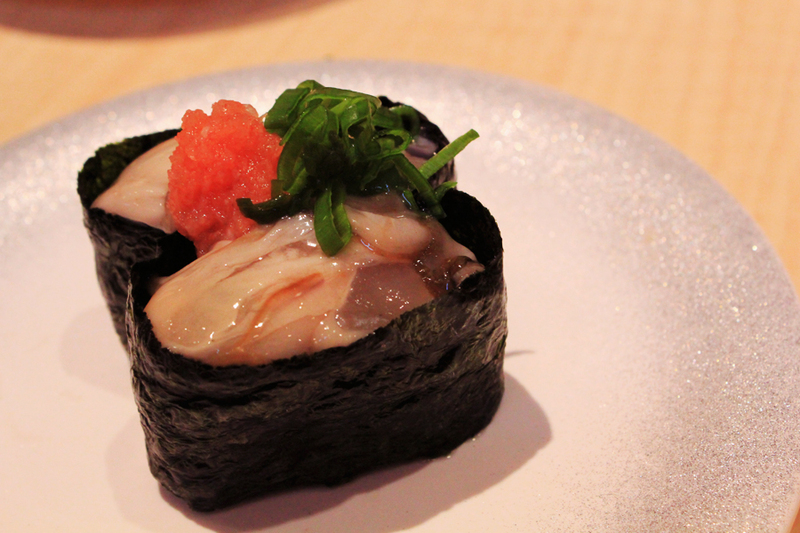 Their sushi are categorized into different range of prices from S$1.80 to S$6.80. Ingredients are imported from Japan at a regular basis to ensure only the freshest and most authentic is served to customers. 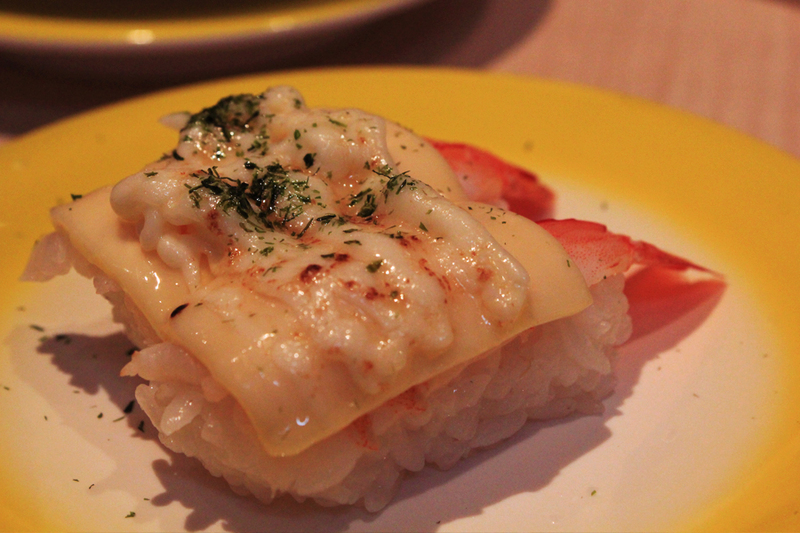 Aburi Cheese Ebi (S$2.80) is one of my favourites among the many. The fresh shimps topped with seared mozarella cheese is real irresistible. 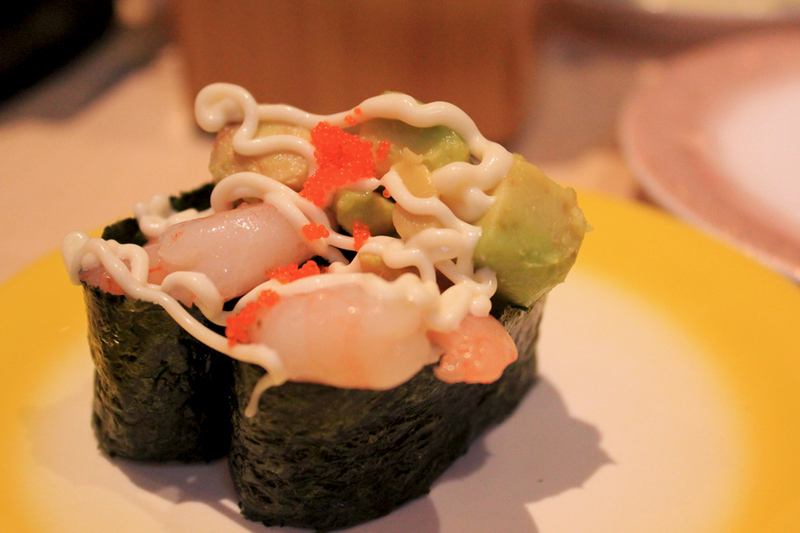 Top seller - Ebi Avocado (S$2.80) tasted amazing as well. Soft avocado flesh with succulent shrimps, drizzled with mayonaise and topped with roes is probably one of the best creations the Japanese came out with. 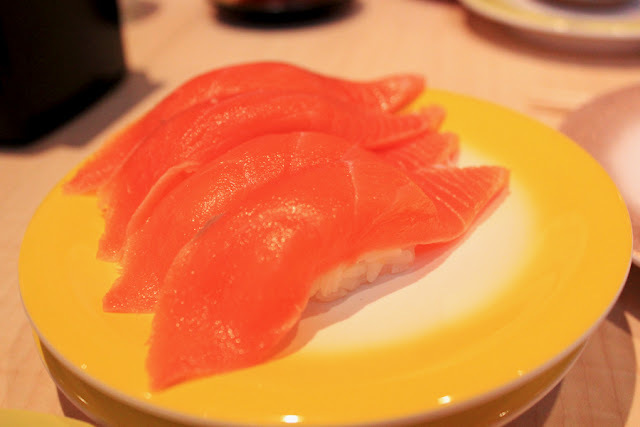 Chutoro (S$5.80 for 1 pc) - Fatty Tuna sushi is incredibly soft, unlike salmon sashimi, tuna doesn't melts that much in contact with the tongue. 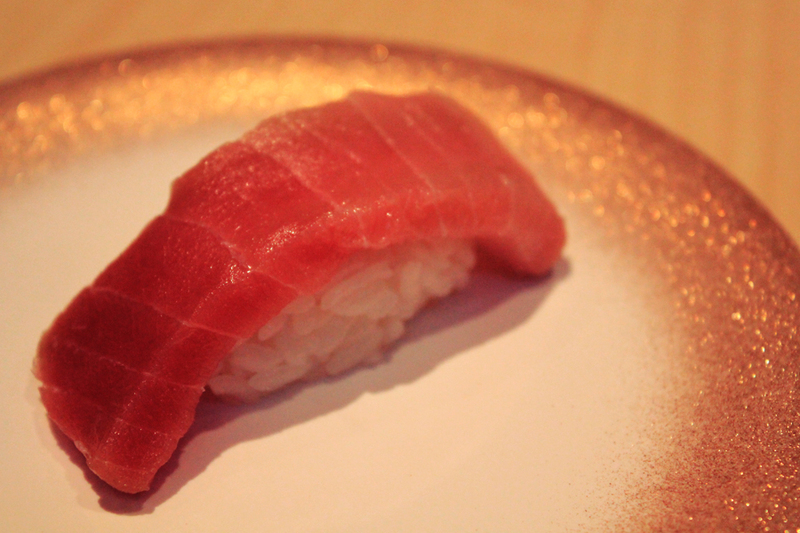 However, this piece of prized cut has just the right density of meat and fats. I wouldn't recommend dipping this beauty in condiments, but just savour the fresh, original taste itself. 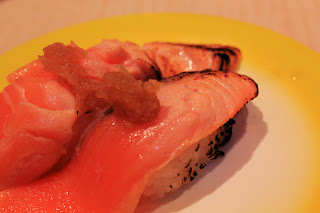 Big Salmon (S$2.80 for 2pc) - what can I say other than beautifully rendered salmon slices that melts one's heart. I had never had salmon sushi with such a big slab of fresh sashimi, this was my first and it was good, real good in fact. 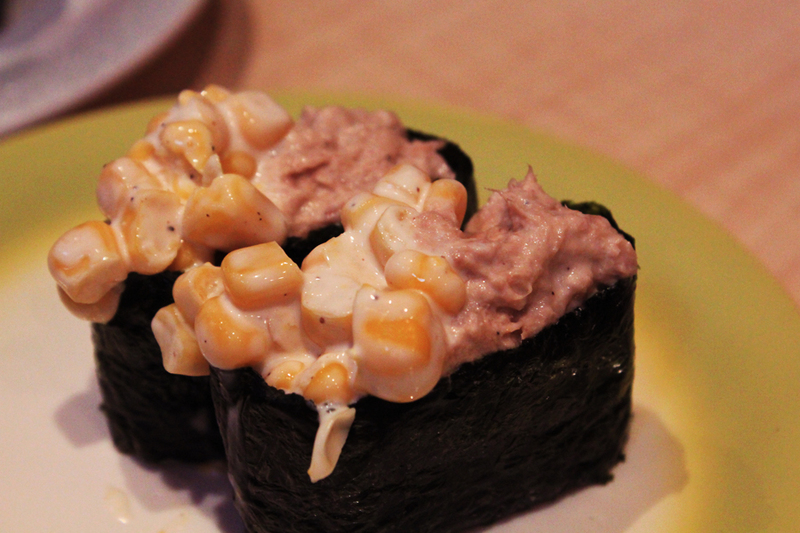 We also had Peiyi's favourite Tamago (S$1.80), Tuna Corn (S$1.80), Namagaki (S$4.80) - raw oyster sashimi, and Aburi Salmon (S$2.80). For the salmon, it was a tad too raw, I prefer Genki Sushi's rendition better. Quite the staple when we are eating Japanese cuisine, we ordered their steamed egg custard, Chawanmushi (S$3.80) as well. 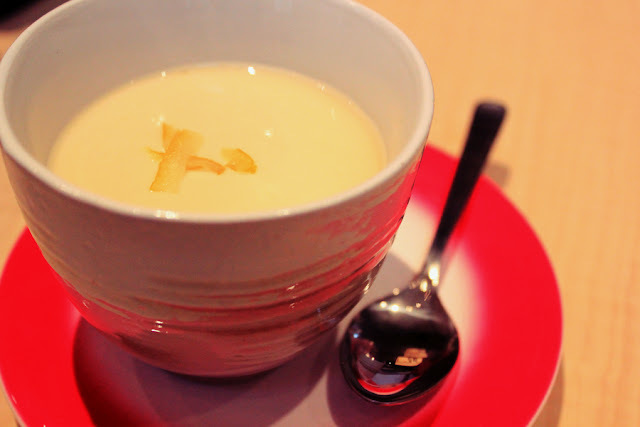 Their version is very much softer than the usual and breaks upon the slightest contact, try imagining traditional tau huey (soy beancurd). Tasteful and delicious - I recommend this. 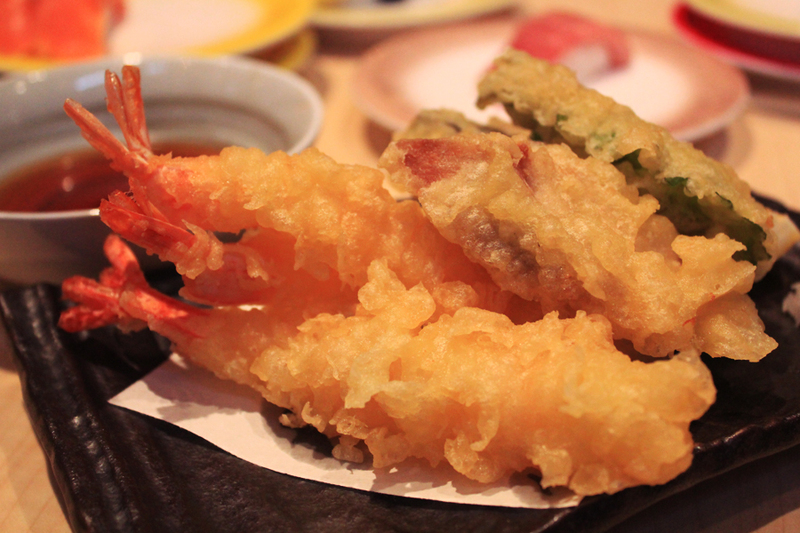 Assorted Tempura (S$10.60) done right. Delectable, crunchy shrimps and vegetables deep fried nicely. For some reasons, I don't eat the tempura with the sauce given, well.. Maybe I love the crunch more. 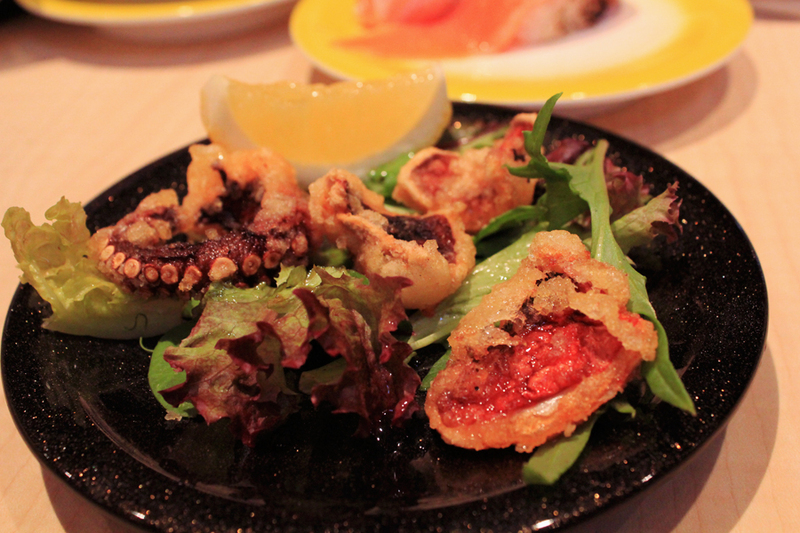 Takokara (S$6.80) - Deep fried octopus was quite a disappointment. It was too hard and chewy. 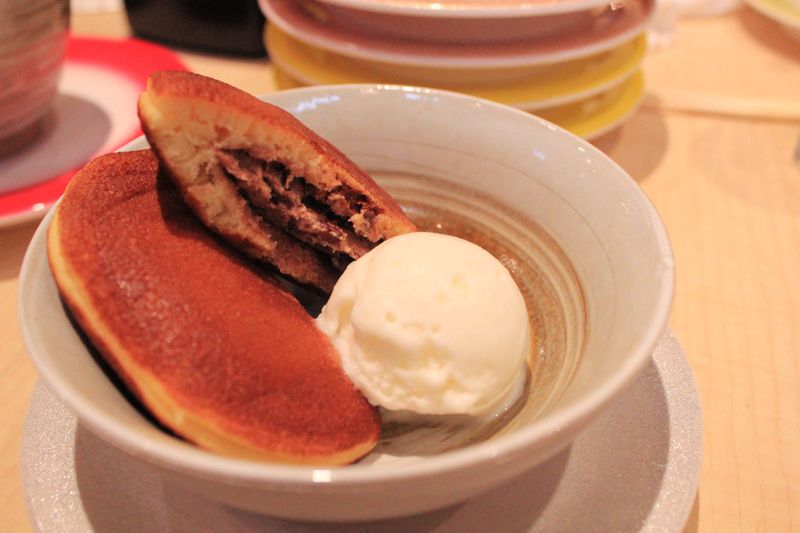 Dorayaki Ice Cream (S$4.80) - Soft Japanese sponge cake with crispy fillings topped with Vanilla Ice cream is a must-try. 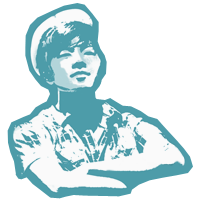 It comes in a nice warm temperature which goes just well with the cold counterpart. I managed to get some Warabi Mochi (S$5.80) - Green Tea Rice Cake from Peiyi's sister, Eliza. 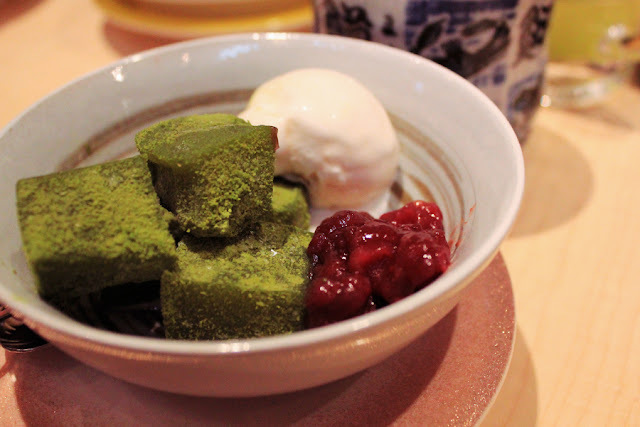 Their version was just nice and not heavily flavoured, somehow I wished there could be some green tea ice cream in the mochi itself. But, take my word for it when I tell you it goes super well with the ice cream and red bean paste. Ryoshi Sushi Ikeikemaru gave me a pretty positive experience, as it promises a wide range of fresh, delectable sushi and other assortments to be served daily. Besides that, it has definitely set a certain standard for Japanese restaurants that I will be visiting in the future.